a trio of self-made musicians from Toronto, Canada, and they are building an army of “treble-heads” on their musical crusade to mash up Babylon with music! 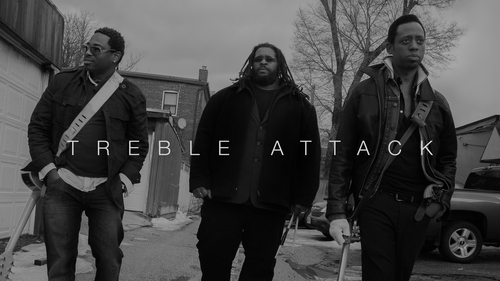 Drawing on influences from reggae, ska, funk, and soul, Treble Attack is a unique fusion of styles. Raised on the socially-conscious sounds of bands like The Clash, UB40, Aswad, and the Wailers, lead singer Tony Treble calls it “...rub-a-dub rock n roll, reggae with rock n roll swagger...”. With the release of their self-produced debut EP, Uh oh, Here Comes Treble, Treble Attack is already turning heads in the reggae community. Uh Oh, Here Comes Treble, their self-produced debut EP features five songs and is available online.